BIRMINGHAM, Ala. - Aug. 8, 2018 - PRLog -- One of the most sought-after information security courses is the EC-Council Certified Ethical Hacker v10 certification course. The techniques you will learn in this course are the same techniques used by malicious, black hat hackers. However, you will learn how to use these same techniques for white hat, ethical hacking, and penetration testing scenarios. This course uses informative lectures from security professionals, as well as hands-on lab exercises, allowing you to gain the ability to perform accurate threat assessments and discover vulnerabilities within your organization. The skills learned from the EC-Council Certified Ethical Hacker v10 course are in high demand, and have the potential to offer a significant return on investment once you are able to start applying this knowledge in real-world scenarios. Are you ready to earn the most respected and well known technical security certification in the world? Join us for the Certified Ethical Hacker class and earn this life-changing credential. Get ready to engage in a training experience like none you've ever had before. We have the top instructors in the world, and they will not only act as your instructor but also your mentor. This class will run in Birmingham Alabama on September 10th through 14th. You will need to bring a laptop that has internet access to participate in iLabs and optional Deep Immersion exercises. Labs will be performed through a cloud-based virtual machine's that the student will have access to for a period of time after class. This is a total immersion class with a pass guarantee for the new CEH v10 certification. Join us in Birmingham and enjoy learning from possibly the best instructor in the business, great food, and great networking! See you there! 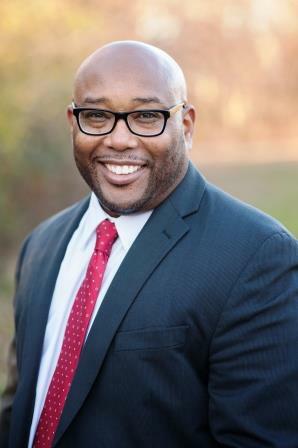 Instructor: Keatron Evans is the Managing Partner at KM Cyber Security, LLC and responsible for global information security consulting business which includes penetration testing, incident response management/consulting, digital forensics, and training. Keatron is also a Senior Security Advisor at Savvius, and a top-rated instructor for ISACA a global association of 140,000 professionals in 180 countries that helps business and IT leaders maximize value and manage risk related to information and technology. He is also one of the authors of Chained Exploits: Advancing Hacking Attacks from Start to Finish, a textbook still used by U.S. Government Security Agencies.